Savills has worked with See Media since 2014. They have helped raise our profile with key media and ensure our voice is heard on the issues faced within the housing sector. We are delighted with our partnership with See Media. We have worked with Savills since 2014, providing media relations and content creation support across the housing division. 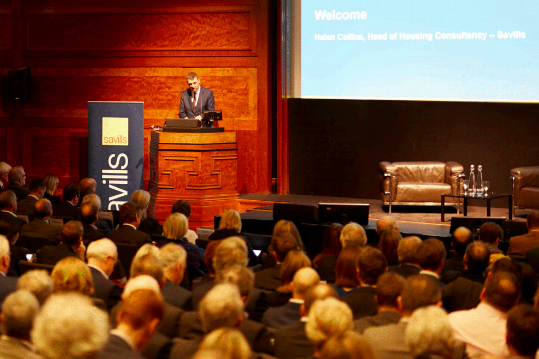 Savills is now the leading consultancy for the UK affordable housing sector. We were initially engaged to help raise the profile of Savills Housing Consultancy as a key part of its bid to grow and win more work with councils and housing associations. At the time Savills was generating 1-2 mentions every month in key housing sector titles, based mainly on reactive engagement. We worked with the senior leadership team to understand their key messages and then crafted a communications strategy and planpacked with proactive ideas. 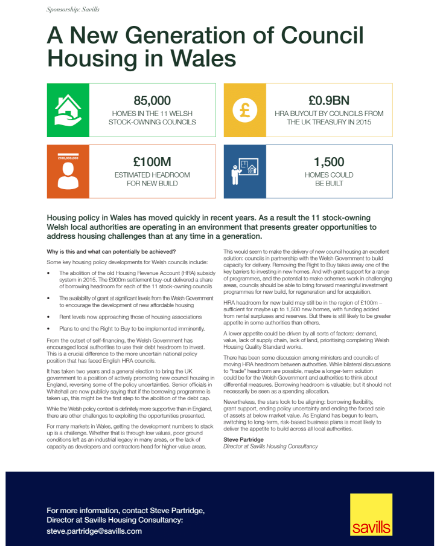 This focused on reaching housing and local government audiences, using a range of content including press briefings, blogs and opinion articles, research and analysis. We used our strong relations with the main trade publications, but also worked with Savills to grow its use of its own channels, such as newsletters, face-to-face events, its website and social media. Savills has seen its public profile soar in the housing and local government sectors. 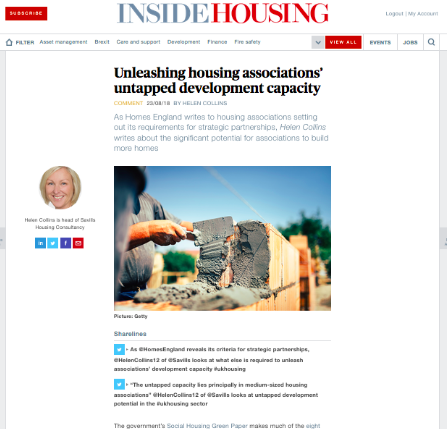 For instance, in Inside Housing in the five years to the end of 2018, it has seen the number of articles provided and interviews contributed more than triple. Savvy use of LinkedIn to share Savills content has also proven extremely effective in building an engaged and relevant audience of contacts and clients. Since 2014, with See Media’s support, Savills has increased the profile of its Housing Consultancy team and expanded its consultancy business. As a result, See Media now works to help promote the work of the wider affordable housing division.